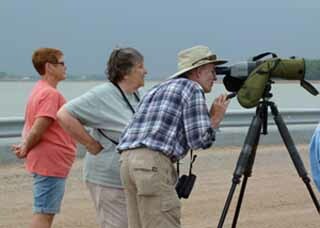 NOU members routinely participate in a wide variety of activities, from science-based bird surveys to bird counts which promote the challenges and pure fun of birding. NOU members participate in surveying breeding birds along specific routes every spring in support of a Breeding Bird Survey sponsored by a coordinated effort of several national and international ornithological organizations. 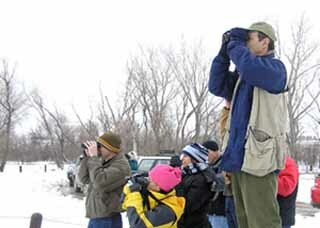 Each year around Christmas time, many NOU members and other Nebraska birders participate in a growing number of traditional Christmas Bird Counts. The countrywide results of these counts are compiled and analyzed by the National Audubon Society. 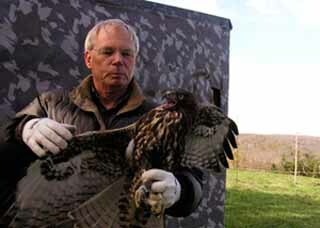 In recent years a dedicated group of expert birding volunteers from Nebraska and Iowa has cooperated to monitor the fall migration of raptors passing the Hitchcock Nature Center on the Iowa side of the Missouri. The collected data from the bird surveys Nebraska birders participate in are analyzed to further improve our understanding of birds. These, and other activities relating to ornithology, are described in greater detail on separate pages. Not all is data collection, however. Some activities are simply for fun and fellowship. The NOU continues to be supportive of other organizations in our state with interests in birds and ornithology. 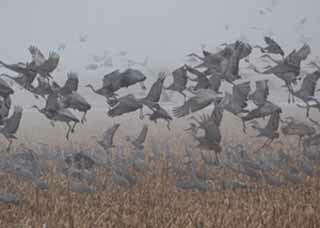 For instance, the Audubon Nebraska's Crane Festival has brought national attention and a significant economic impact to the area around Kearney, where the Sandhill Cranes stop over each spring. NOU member volunteers are involved in this effort. From time to time, new ways of watching and counting birds become popular. Recently several NOU members have promoted the "Big Sit". 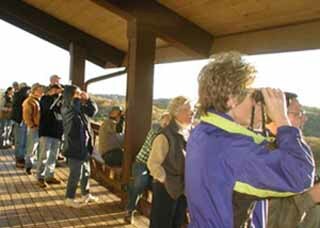 Instead of walking through a variety of habitats to search for birds, birders sit all day in one well-chosen location to observe all the birds seen from that vantage point. The idea was conceived by the folks at Bird Watcher's Digest. If you would like to join in the fun, you can find the very relaxed rules on the BWD Big Sit site.